To take care of your baby you need something that you can trust. You need monitors to spy on your little one only if you are sleeping or out at work. 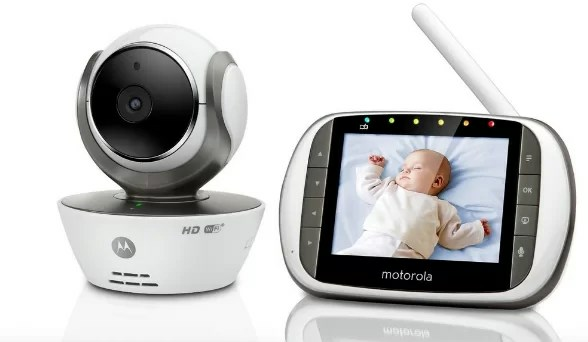 To give you a sigh of relief in this Motorola MBP853 review I will highlight some main features of this device so you should decide whether to buy it or go with some other brands like Angelcare or Samsung Sew. While making Motorola MBP853 review, I found some good things and bad things about the device. The Camera can be rotated from the parent unit which is something I was expecting from this device. However, the camera quality is not that much great at night as it was in You will have to place the camera close to the child to get a clear view. The camera can rotate, tilt and zoom at the same time. You can connect MBP853 to the Wi-Fi and get detailed monitoring once you download the app. 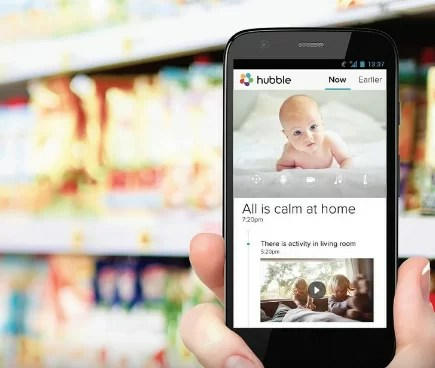 The app named “Hubble” can be downloaded from iOS and Google Play store. The video quality is good enough at daytime, however, it becomes a little disturbed at night. The wireless has a maximum range up to 300 meters which makes MBP853 a perfect candidate for big homes. Temperature Sensor is there is to alert you about variations in temperature across the room. The parent unit can be connected up to 4 cameras at the same time. Now, this is something similar to the products from Angelcare. The two-way communication system allows you to speak with the baby and hear the reply. No sensor pad like the one we have with Angelcare products. Night Vision is really bad if you place the camera far away from the baby. As soon as the Wi-Fi turns off, the camera gets disconnected from the parent unit inside the home. Finally, this was a short Motorola MPB853 Review hope you liked it. If you got something to share or ask then do let me know in the comment section down below.